LOUISVILLE, Ky. — In the interest of augmenting existing security measures at football games at Papa John’s Cardinal Stadium, University of Louisville Athletics will implement new security measures, including magnetic wanding at all entry gates and restricting the size and type of bag that may be carried into the stadium for home football games and concerts moving forward. Fans are encouraged to enter the stadium early, as magnetic wanding will be added to the entry process for all patrons at all gates on game days. Upon entering the queue at the stadium gates, fans will be asked to empty their pockets prior to being wanded by a security guard. Cell phones, keys or other metal objects are examples of items that should be held in one’s hands over the head while being scanned. To promote early entrance to the stadium, gates will open two hours prior to kickoff (1:30 p.m. on Sept. 16 vs. Clemson) with special Happy Hour pregame drink prices available. Fans arriving early can purchase a draft beer for $3 and canned beer for $4 for the first hour throughout the stadium (1:30-2:30 p.m.), and the special price will continue on the Norton Terrace only for the hour prior to kickoff (2:30-3:30 p.m. on Sept. 16). 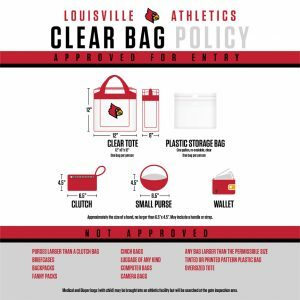 Fans are encouraged not to bring any bags inside Papa John’s Cardinal Stadium; however, each ticket holder is allowed one small clutch purse (no larger than 6.5 x 4.5 inches) and one large clear bag, either a one-gallon clear Ziploc-style storage bag or a 12 x 6 x 12 inches clear tote bag. 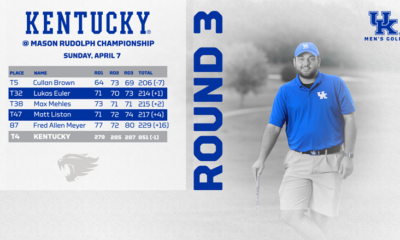 The policy, which includes all UofL athletics venues on campus, is similar to one instituted at all NFL and many collegiate venues in recent years, enhancing security procedures to ensure a safe environment. Diaper bags (with child) are permitted and subject to a thorough security inspection. A clear bag is strongly recommended for bringing diapers and non-medically necessary items for babies and young children. An exception will be made to allow medical items that cannot be transported in a clear bag into the venue. Medically necessary items or equipment may be brought to the game, but the bags or equipment must inspected and tagged by security supervisors at the entry gates. Fans will be asked to return non-approved bags or other items to their vehicle prior to stadium entry. There is no check-in location for prohibited bags at the stadium. All media representatives with necessary bags and equipment must enter the stadium at Gate 7B to have each item inspected and tagged prior to entering the stadium. Another added security measure is that an unopened bottle of water may no longer be brought into the stadium. Fans seeking water are encouraged to obtain a free cup of ice from a concession stand employee. Cups may be filled at any of the stadium water fountains located throughout the inner concourse on the main level and on either end of the UPS Flight Deck. 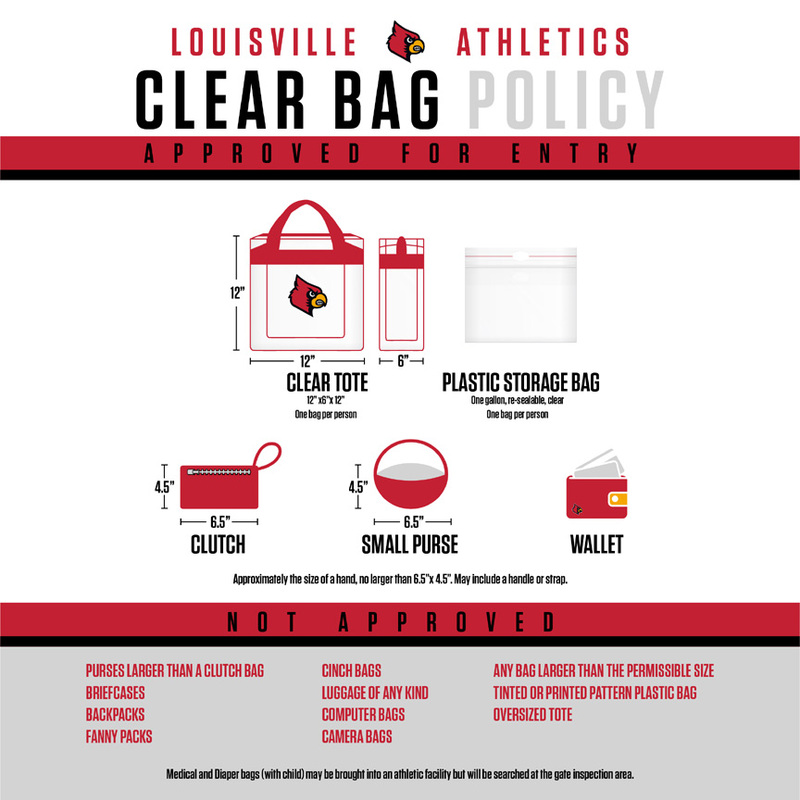 Approved clear tote bags are available for purchase from Cardinal Authentic, the store located at Gate 2 of Papa John’s Cardinal Stadium at 2800 South Floyd Street. 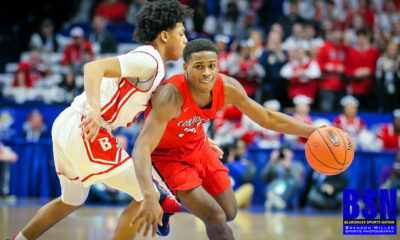 For additional inquiries on purchasing bags from Cardinal Authentic, call 502-852-3002. Fans are reminded that a standard, one-gallon clear Ziploc-style storage bag is approved. Fans may also bring appropriately sized clear tote bags they have previously obtained at other venues. Fans are also advised that the use of tobacco products, including electronic cigarettes and vaping, is strictly prohibited in all UofL facilities, as well as within 50 feet of an exterior gate or entrance. There are no designated smoking areas within Papa John’s Cardinal Stadium and re-entry is prohibited. All UofL athletic facilities are part of the UofL tobacco-free campus.